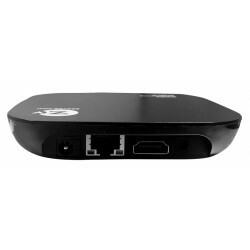 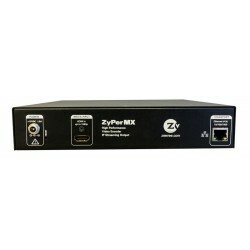 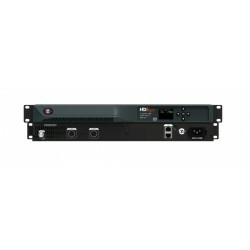 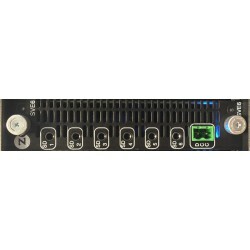 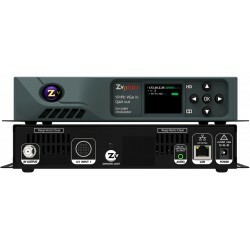 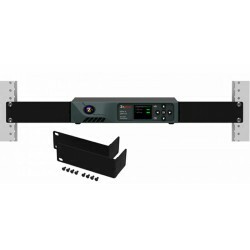 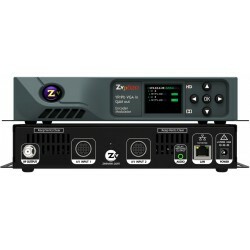 ZeeVee is a Global manufacturer of video and signal distribution technology for ProAV and IT markets. 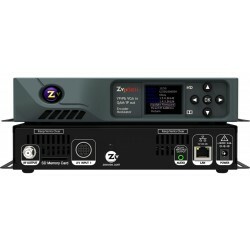 ZeeVee developing video distribution platforms that ensure the highest quality video on any display device leveraging existing or new cable infrastructure. ZeeVee is installed in thousands of facilities worldwide, across multiple industries, where there is a need to transport HD to Ultra-HD/4K video. 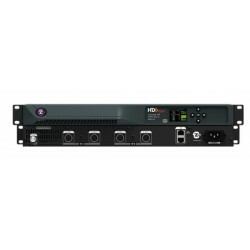 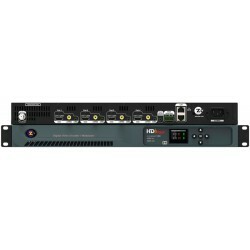 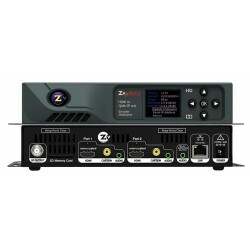 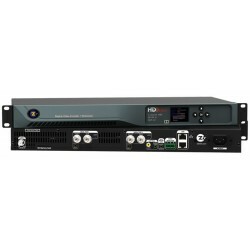 ZeeVee 3KSVE6R Composite Media Encoder Modulator 6 Channel SD MPEG2 Digital..
ZeeVee HDB2312-NA HDBridge SD Analog Encoder Modulator encodes 12 SD channe..
ZeeVee HDB2520-DT 2 Channel HD MPEG2 Digital Video Encoder QAM Modulator co..
ZeeVee HDB2520-NA 2 Channel HDbridge Encoder Modulator encodes two HD chann..
ZeeVee HDB2540-DT 4 Channel HDbridge Encoder Modulator converts 4 Component..
ZeeVee HDB2540-NA 4 Channel HDbridge Encoder Modulator distribute four sour..
ZeeVee HDb2620-DT 2 Channel HDbridge Encoder Modulator 1080p for DirecTV Re..
ZeeVee HDB2620-NA 2-Channel HDbridge Encoder Modulator Converts 2 Component..
ZeeVee HDB2640-DT HDbridge Encoder Modulator for DirecTV Receivers with its..
ZeeVee HDB2640-NA 4 Channel HDbridge Encoder Modulator Distribute four sour..
ZeeVee HDB2840-NA 4 Channel HDbridge Encoder Modulator HDMI 4 Channel High ..
ZeeVee HDB2920-NA 2-Channel HD-SDI Video Encoder QAM Modulator with Digital..
ZeeVee HDB3KR-NA Chassis System designed for high-channel density environme..
ZeeVee Z4KMP24 Management Platform for 1-24 Endpoints Encoders plus Decoder..
ZeeVee ZMXENC1 ZyPerMX Single Transmitter Encoder is a hardware platform de..
ZeeVee ZVMXE IP Set Top Box Receive sharp, detailed 1080p video and audio f..
ZeeVee ZvPro 610 HD Video Distribution Over Coax delivers uncompromising di..
ZeeVee ZvPro 610i HD Video Distribution Over COAX 1080p IP Streaming simult..
ZeeVee ZvPro 620 HD Video Distribution QAM Modulator over COAX delivers two..
ZeeVee ZvPro 620i HD Video Distribution QAM Modulator over COAX 1080p..
ZeeVee ZvPro 810 HD Video Distribution QAM Modulator Over COAX delivers unc..
ZeeVee ZvPro 810i HD Video Distribution QAM Modulator over COAX providing s..
ZeeVee ZvPro 820 HD Video Distribution QAM Modulator Over COAX ZVPRO820-NA ..
ZeeVee ZvPro 820i HD Video Distribution QAM Modulator Over COAX ZVPRO820I-N..
ZeeVee ZvPro Rack Kit ZVPRK enables easy mounting to a standard rack. 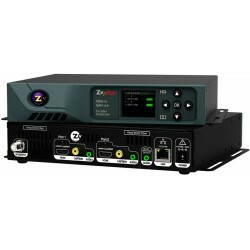 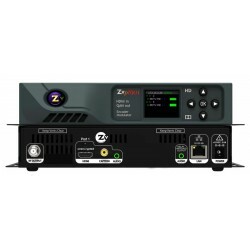 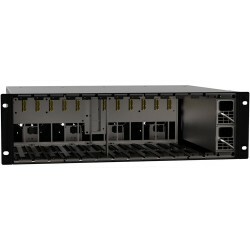 Takin..
ZeeVee ZYPERHD-D Decoder Gbit Copper allows for the easy distribution and s..
ZeeVee ZYPERHD-E Encoder Gbit Copper allows for the easy distribution and s..